Take a sneak peek into Asheville's vibrant music scene, and get to know River Whyless, the voices and instruments behind Asheville's "Return Again" video. Music is everywhere. Asheville hums all the time. Day and night. Underscoring some primeval beat that resounds in the heart of the city. It’s a youthful beat, a welcoming melody, a reason to dance. This place knows how to charm. That’s why musicians pilgrim to this vibrant hub of creativity and artistic expression. They play on stages, on street corners, in parks and breweries. Musicians of all stripes and talents, from A-listers with big tour buses and recording contracts to local singer-songwriters, bluegrass banjo strummers, indie rock aficionados and anyone-who-feels-like-being-a-drummer. Asheville’s gotten its share of musical credibility – Rolling Stone named The Orange Peel one of the top five music clubs in the country and this year, West Asheville&apos;s Isis Restaurant & Music Hall was named Best Venue by the International Bluegrass Music Association. American Idol Caleb Johnson is a native son. So is Warren Haynes, whose Christmas Jam for Habitat for Humanity has become the place to be each year. And Asheville has Echo Mountain Recording Studio which many artists have found to be the perfect antidote to a glass and steel recording studio in L.A. The Avett Brothers, Dierks Bentley, Band of Horses, Steep Canyon Rangers, Smashing Pumpkins and T. Bone Burnett are just a smattering of folks who’ve pulled up to a mic in this old converted downtown church with perfect acoustics. The young band – McWalters, Ryan O’Keefe, Halli Anderson and Daniel Shearin – traveled extensively from Boston to Nashville to Wyoming, camping in national parks whenever they could, searching for their musical home and performing all along the way. “Every time we’d come back from West, we’d get our first glimpse of the Appalachian mountains, and we’d go ‘We’re home!’” says O’Keefe. 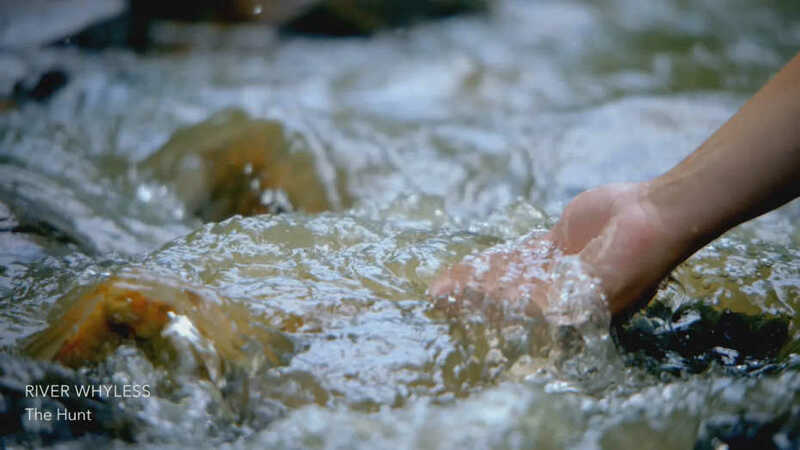 That “certain sound” resonated with the team at the Asheville Convention & Visitors Bureau, who chose one of River Whyless’s tunes to punctuate and illustrate a new, visually rich commercial about visiting the area. 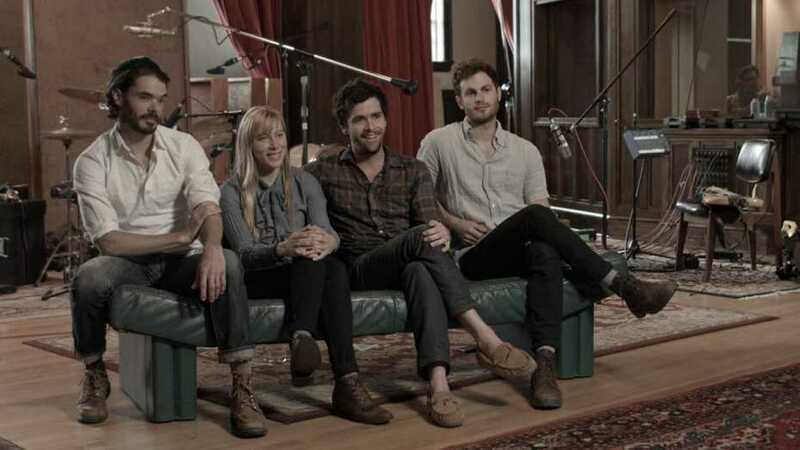 The band’s music is an soulful auditory interpretation of experiencing Asheville. “These mountains are very old. It’s an old place with youthful energy.” Asheville is a progressive city with great music, food, beer, wine, art and activity everywhere, says the band. 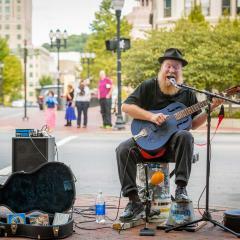 And unlike some other places, musicians in Asheville are all “on the same team,” said Anderson. The band also enjoy the intimacy of place in Asheville and the fact you can walk around the city and enjoy a world of music. “Sunday night, I went to a Celtic jam session at Jack of the Wood, a jazz session at another place, listened to Indian world music and then ended with an incredibly talented percussion performance,” said McWalters. Story written by Elizabeth Sims.